Welcome to Slaughterhouse, an elite boarding school where boys and girls are groomed for power and greatness, and they'ye about to meet their match. This ancient and ordered world is about to be shaken to its foundations - literally - when a controversial frack site on prized school woodland causes seismic tremors, a mysterious sinkhole, and an unspeakable horror to be unleashed. 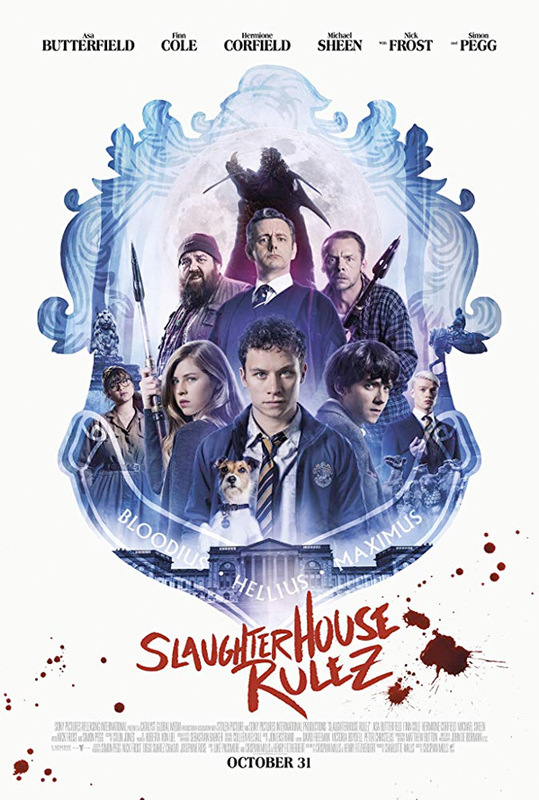 Soon a new pecking order will be established as the pupils and the teachers alike become locked in a bloody battle for survival… Slaughterhouse Rulez is directed by English filmmaker Crispian Mills, of the film A Fantastic Fear of Everything previously. The screenplay is written by Henry Fitzherbert and Crispian Mills. The film is set to open in the UK starting October 31st, on Halloween, this fall. No US release date has been set - stay tuned.